At this time of year, please take a moment to contribute to our Holiday gift fund to thank the hardworking staff and non-homeroom faculty whose dedication touches our children's lives in such a big way, but who typically don't receive the same gifts, cards, and other appreciation as our homeroom teachers. Think about Ms. Dixon, who teaches every single student at Winterhaven, rain or shine, with boundless energy. Or Sharon Hatrak, who brings art and a creative eye for beauty into each student's life. Or GeorgeAnne Ries, our dear librarian, or janitors Larry and Eugene (our singing janitor), or Lori Williams, whose patience helps every student who needs her extra time, or every single one of our wonderful Educational Assistants. And while I have your attention, please spare a few minutes to thank your student's homeroom / grade-level teachers with a card or holiday remembrance as well! When every family puts a few dollars into the fund, we typically are able to get all 22 of the extended staff and non-homeroom faculty a small token of appreciation from the families at the school. One of the interest classes is making each of these staff/faculty members a holiday card. Let's show them how very much they mean to us!! 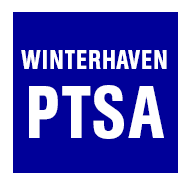 Donate by cash or a check made out to Rebekah Folsom / Winterhaven PTSA (rsatz@yahoo.com) in an envelope with Nancy in the office or send money by PayPal (https://www.paypal.me/rsatz). We'll be gathering money at the end of day, Friday, December 9th.